One of my neighbors has a huge apricot tree. 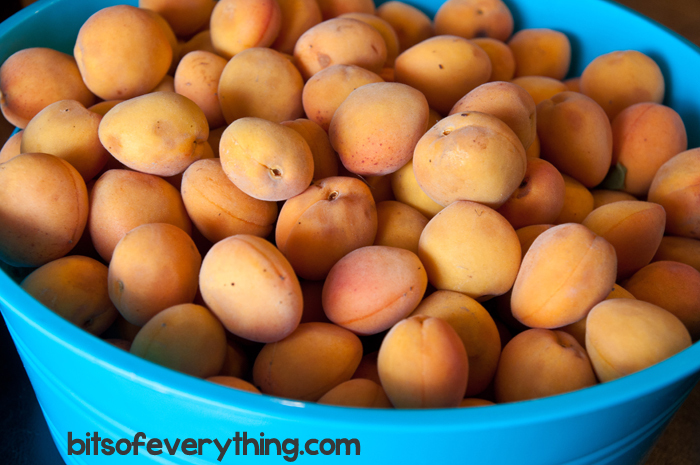 This year, it produced enough apricots for the whole neighborhood (almost!) We were lucky enough to get a few bowls full. 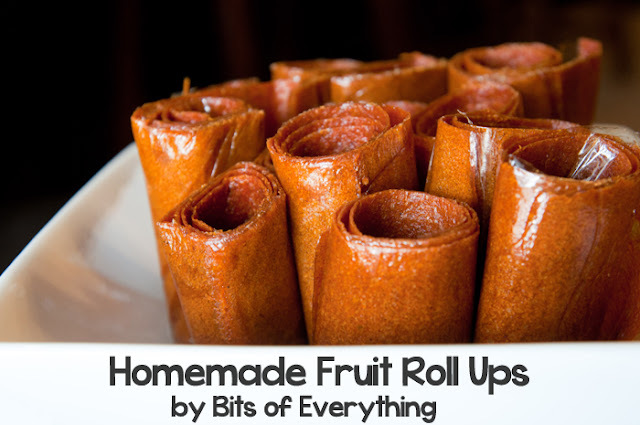 After making some jam, my kids begged for fruit leather (again!) I posted this recipe back in 2011, but thought I should remind you about it, it’s that great! In a blender, puree fruit which has been washed and pitted but not peeled. Add honey and cinnamon. Taste fruit to make sure it is sweet enough. If not, add a little more honey. Pour 2 cups fruit mixture on each cookie sheet. Makes 2 trays. Place in oven at 170 degrees (or lower, depending on your oven) for 7-10 hours. When fruit is dried to leather consistency (doesn’t stick to your finger), take it out of the oven and let it cool. Roll up fruit (I leave it on the plastic wrap), cut into strips, and tear off to eat. My kids are seriously eating this like candy. It is one of our favorite things to make. We have loved this recipe with peaches and apricots. We tried raspberries once, but didn’t get the sweetness right.